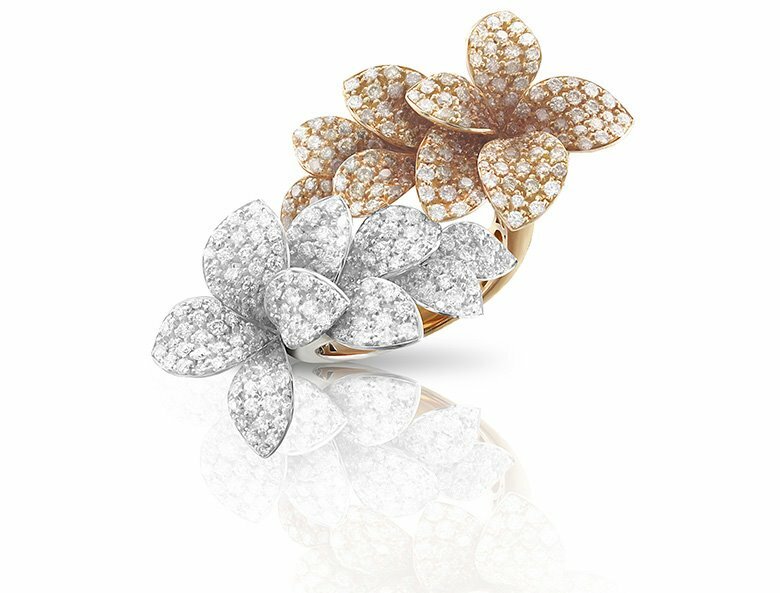 "Nature is constantly showing us itslove: a day with bright colors, night shining stars" - Eugenia Bruni, creative director Pasquale Bruni . 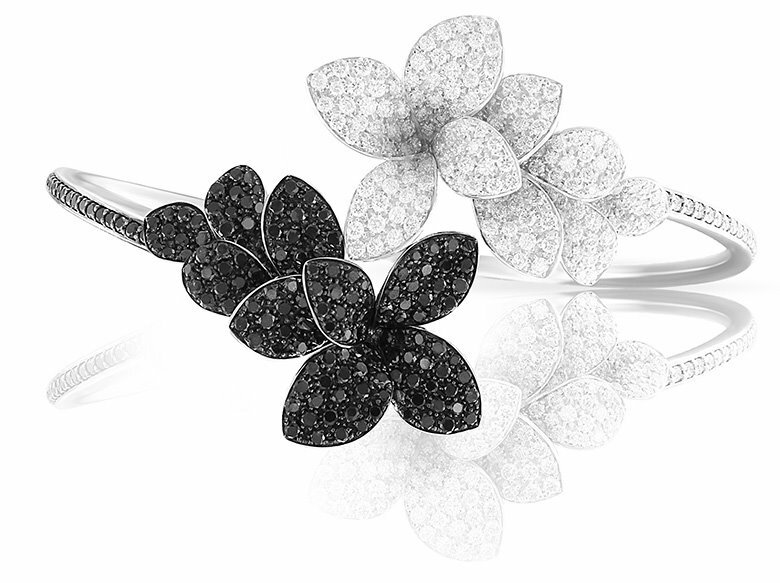 At the heart of the collection Stelle in Fiore - the play of light and shadow, day and night ... design inspiration were the wind swirling leaves, traveling like a comet across the night sky. 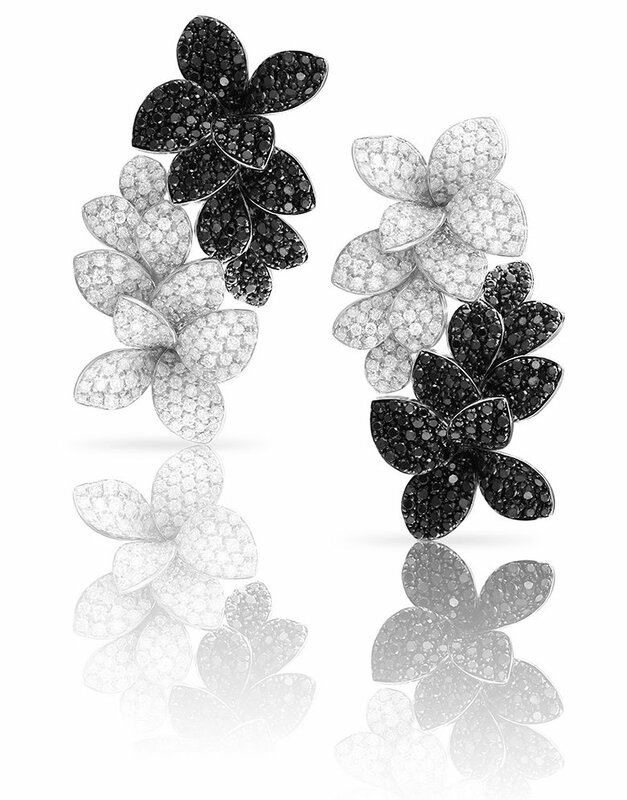 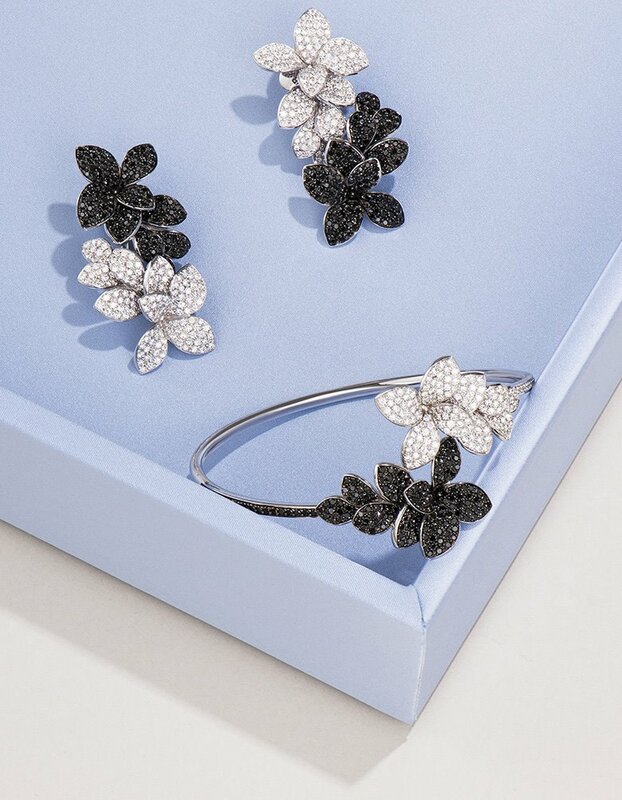 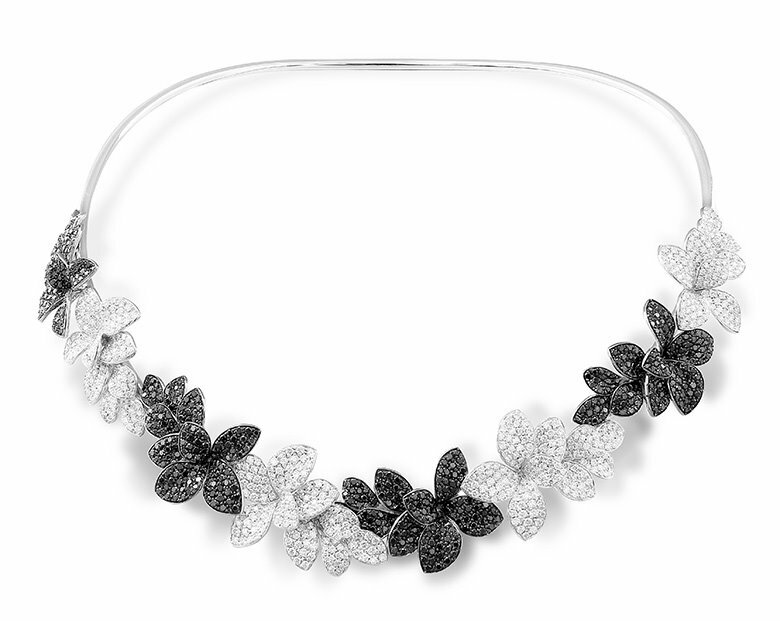 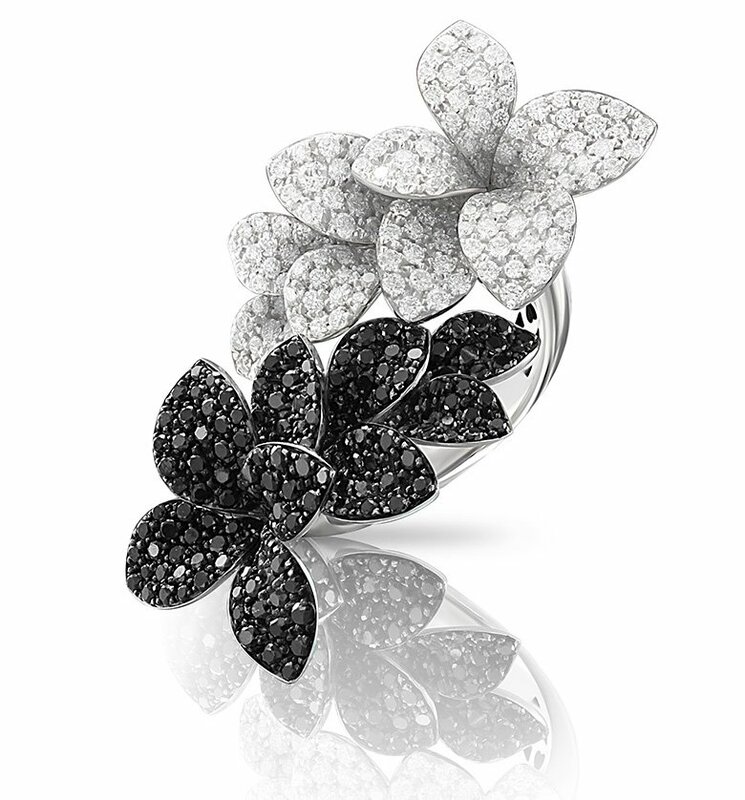 Colorless and black diamonds - like bright stars in the night sky. 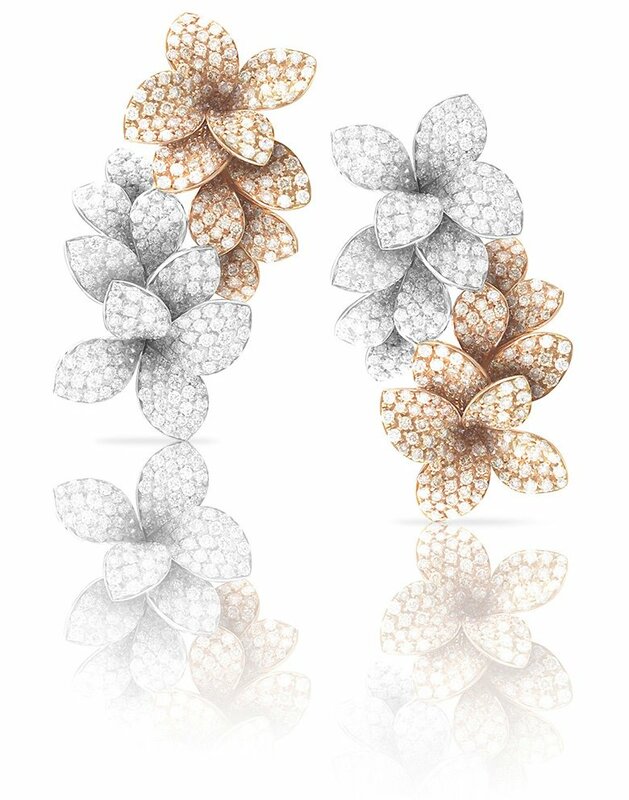 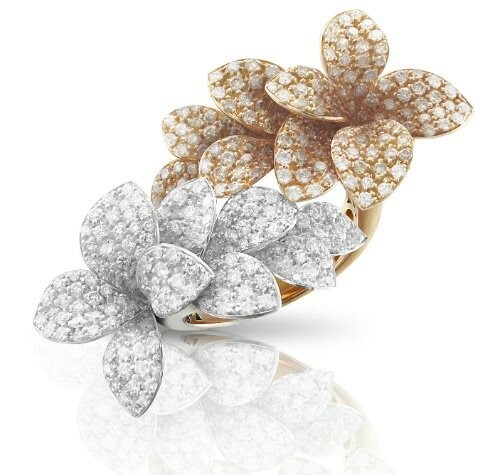 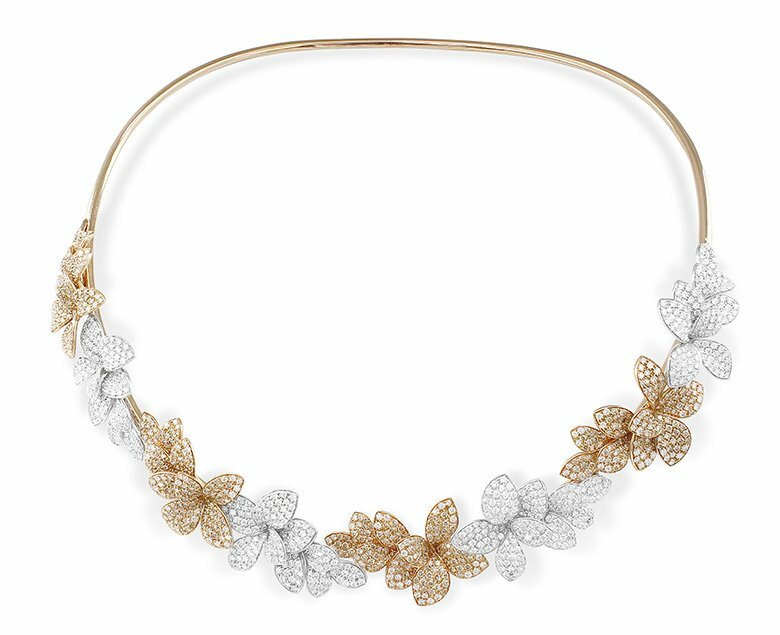 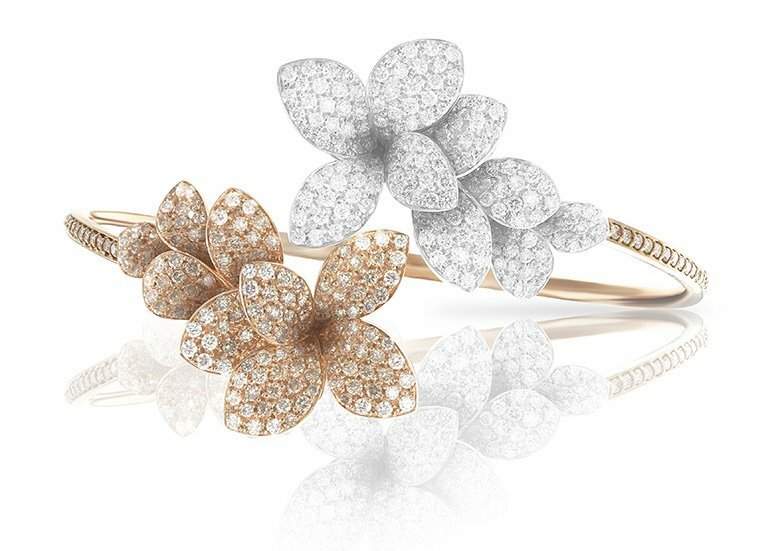 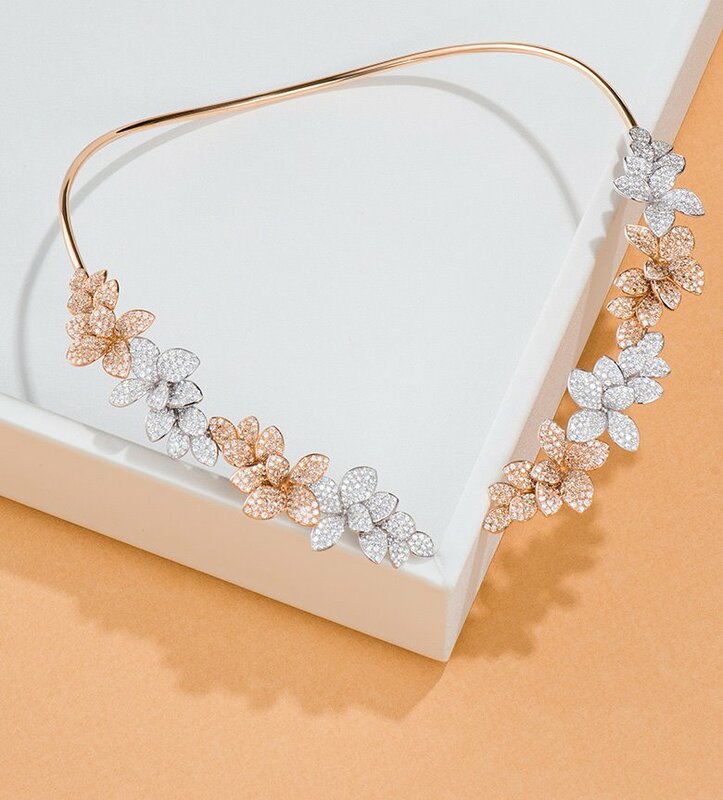 Colorless and cognac diamonds are reminiscent of the first rays of the sun, shining on lovely morning flowers.